Innovative new energy technologies are being designed and developed at a scale and pace never seen before! Inside this eBook, 12 energy industry experts share their views on exactly what the energy transition means to them. Contributors of this eBook include: UNEF, DNV GL, Estabanell Energia, The Energy Industry Times, Engie, Foresight Group, Innogy Spain, Holaluz, Electricchain, Next Kraftwerke and Enstroga Group. 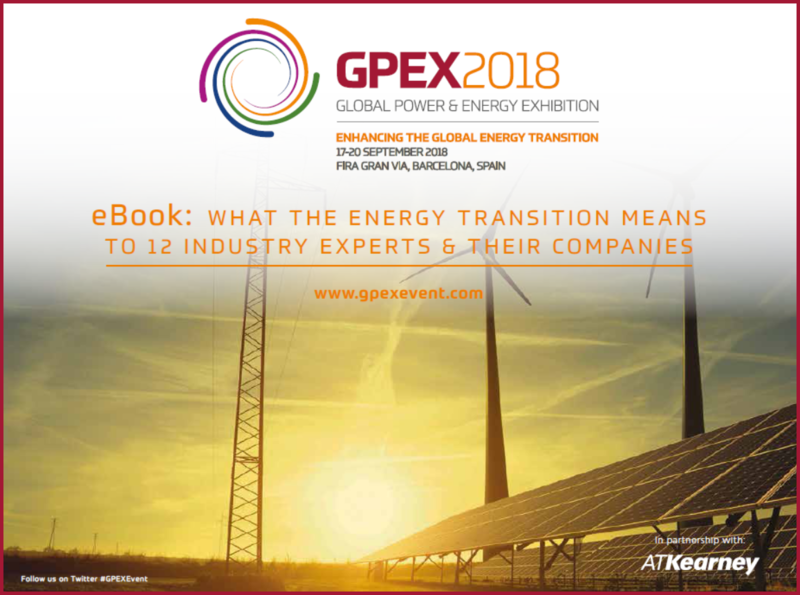 We hope that you enjoy our eBook, and if you would like to hear more on the energy transition from key industry experts, register for the Global Power & Energy Exhibition (GPEX 2018), 17th-20th September in Barcelona.